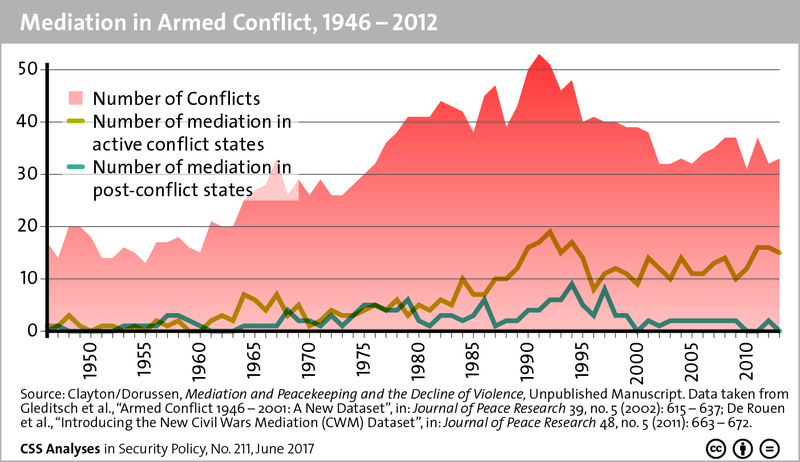 This graphic contrasts the number of conflicts that occurred between 1946 and 2012 with the amount of mediation that took place over the same period in both active-conflict and post-conflict states. 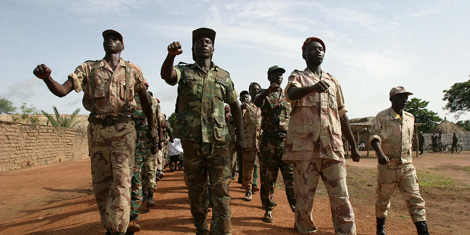 To find out more about mediation in armed conflict, see Jonas Baumann and Govinda Clayton’s recent addition to our CSS Analyses in Security Policy series here. For more graphics on peace and conflict, see the CSS’ collection of graphs and charts on the subject here.